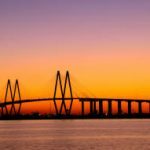 The energy industry will be experiencing tremendous growth in Baytown, Texas in the coming years. All of this comes on the heels of state, county, and city initiatives to provide tax incentives to spur growth for industrial projects in the area. Companies such as Exxon Mobil, Covestro A.G., and JSW Steel (USA) Inc. have plans to expand operations in the coastal Texas city in the next few years. Exxon Mobil recently constructed two new facilities at its Mont Belvieu plastics plant 20 minutes north of Baytown. In addition, Exxon Mobil is in the process of a $1.9 billion expansion of its Baytown petrochemical complex. The expansion is expected to employ 10,000 construction workers and create at least 25 permanent jobs at a salary of $62,971. The average annual wage in the Texas chemical industry is about $100,000 according to Steve Pryor, president of ExxonMobil Chemical Company. German polymer company Covestro A.G. recently received board approval to build a $1.7 billion plant at its Baytown campus. The new plant will facilitate the production of methylene diphenyl diisocyanate, a polymer. Production operations are expected to begin in 2024. Covestro A.G. currently employs 1,000 people at the Baytown site. However, projections indicate another 25 jobs will be created to support operations after the closing of a smaller production unit at the Baytown campus. 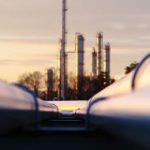 Rod Herrick, Covestro vice president and site manager at the Baytown plant, said the company chose Baytown for its proximity to natural gas supply, as well as refineries that make feedstocks necessary to produce the base chemicals for polyurethanes. Covestro has 30 production sites worldwide and employs more than 16,000 people. The company’s Baytown complex, built in 1971, is its largest in the U.S. In March 2018, Texas Governor Greg Abbott announced a $500 million investment from JSW Steel would be used for the expansion of a Baytown steel mill’s Plate & Pipe Mill unit. Governor Abbott stated the move would benefit the oil and gas industry and related businesses statewide. The expansion is expected to occur in phases and is contingent upon approval from the Environmental Protection Agency. JSW Steel (USA) Inc. is a company based in India which purchased the formerly bankrupt Baytown plant for about $810 million in October 2007. JSW stated the plant is currently operating at 30% capacity with 350 workers. However, the mill expansion is expected to add up to 500 new jobs in the coming years at an average salary of $65,000. 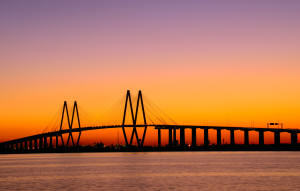 With so much industrial growth, Baytown is in the early stages of seeing an influx of visits from business travelers. If you’re planning on an extended stay in Baytown, contact Premier Corporate Housing. 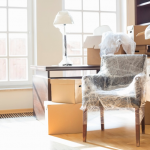 We have strong professional relationships with apartment companies in this coastal Texas city. These relationships allow us to provide corporate travelers and their families with affordable, short-term furnished apartment rentals. Contact us to learn more and get a free quote.